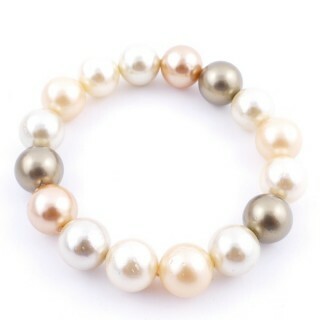 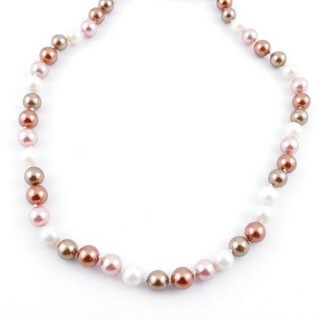 Natural jewellery made with pearls, shells, abalon, etc. 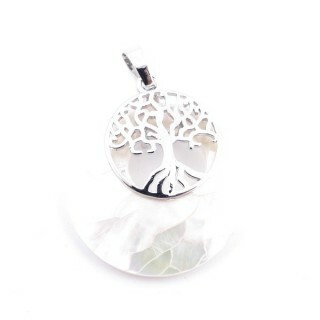 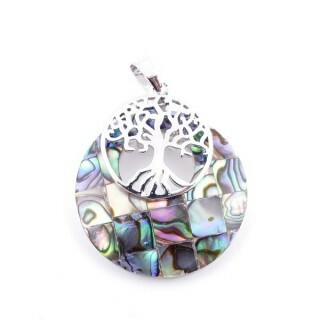 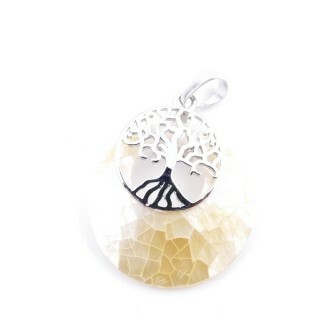 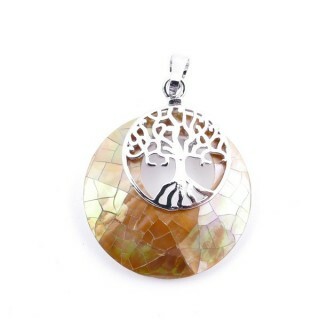 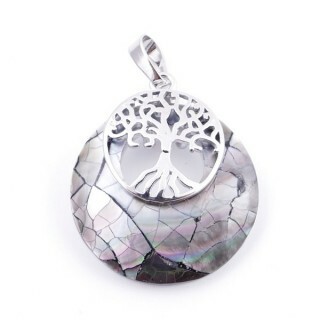 Fashion jewellery and natural shell pendant. 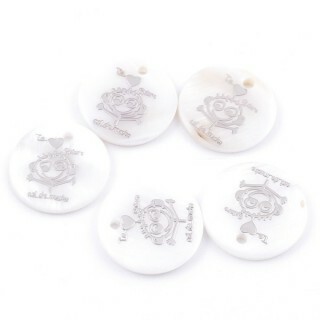 Each pendant comes with a pamphlet explaining the properties of the shell. 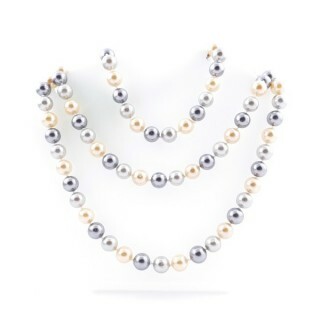 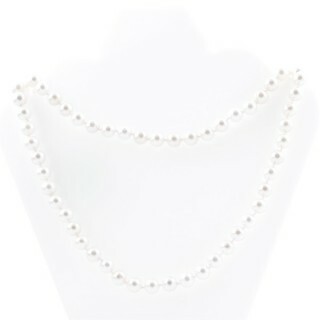 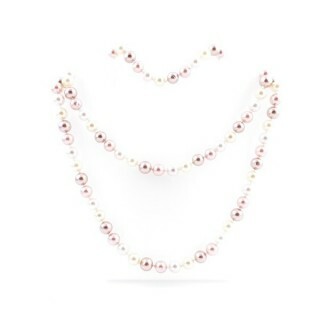 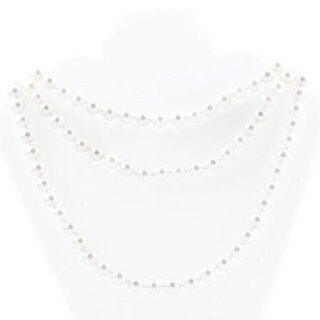 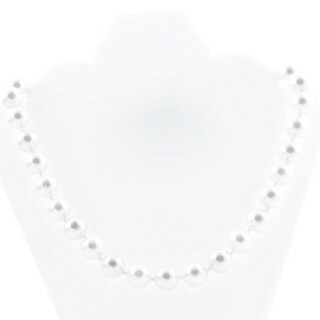 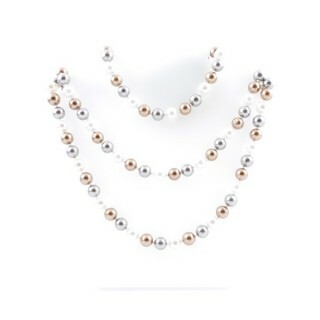 Short length shell pearl necklaces. 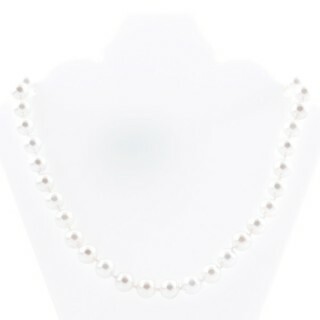 As this is a natural product, there may be scratches on beads. 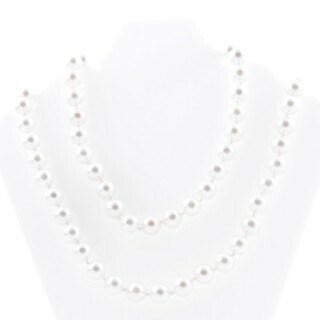 Long length shell pearl necklaces. 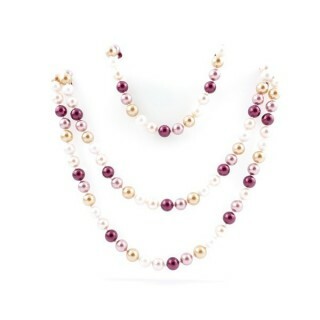 As this is a natural product, there may be scratches on beads. 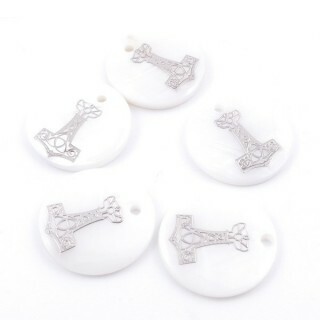 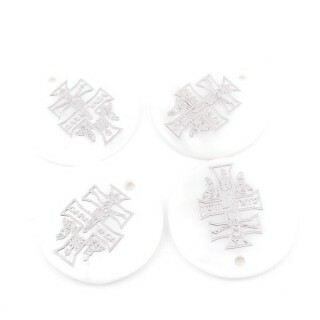 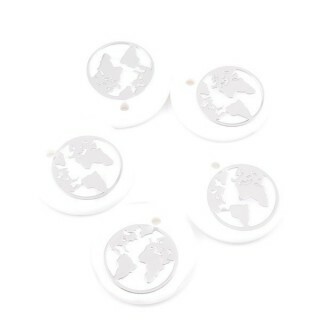 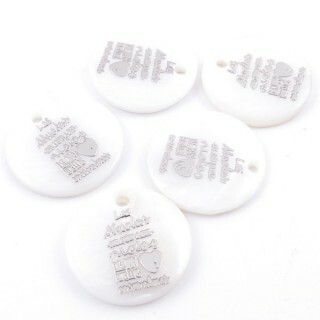 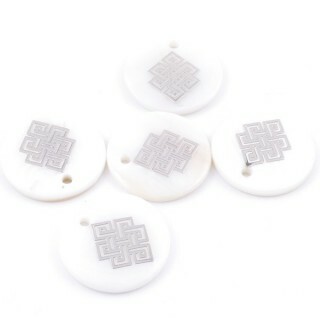 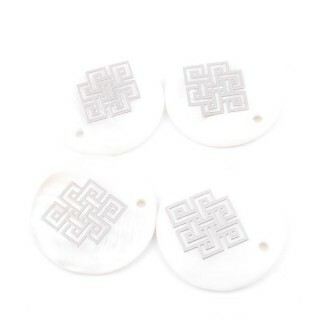 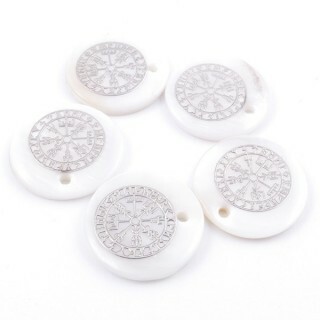 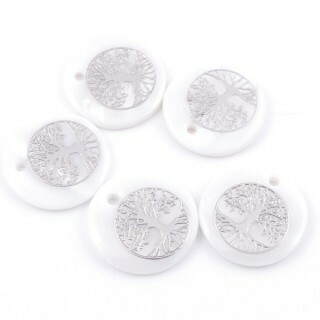 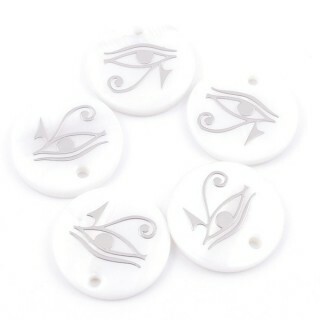 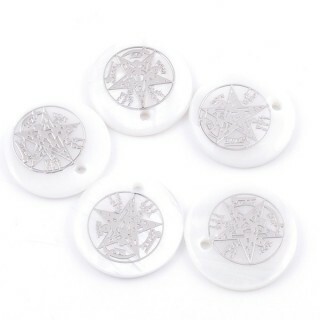 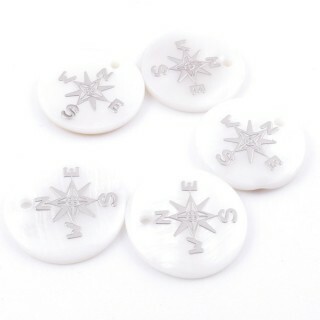 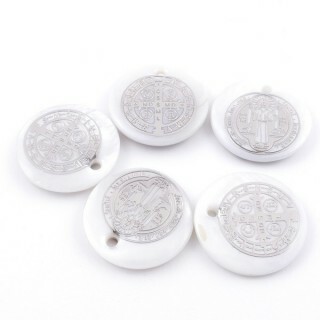 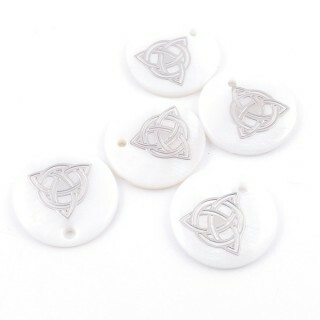 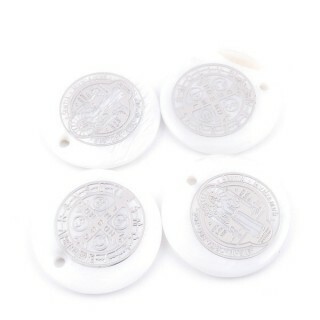 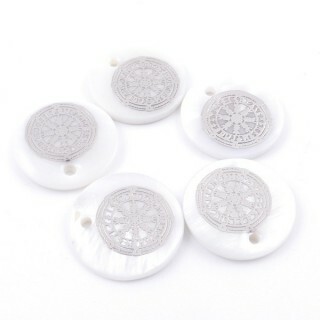 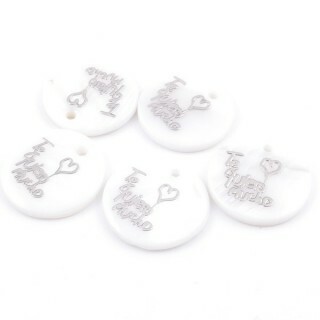 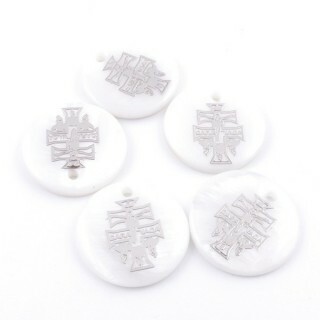 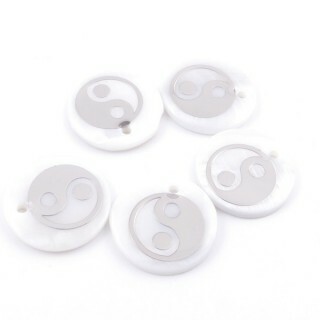 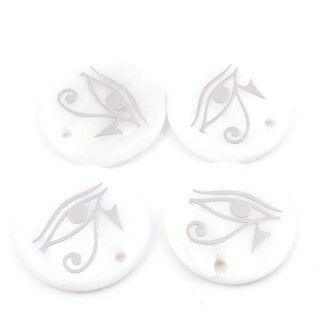 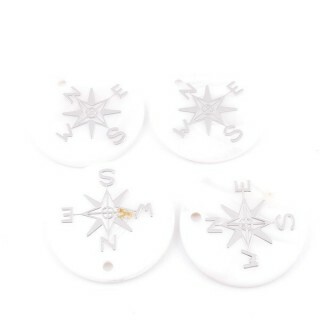 Pack of 5 mother of pearl 18 mm charms with symbol. 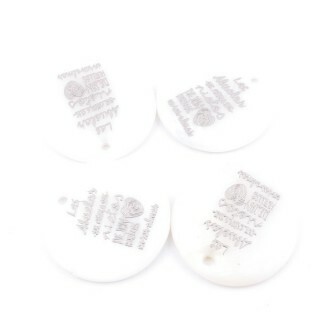 Price is per packet. 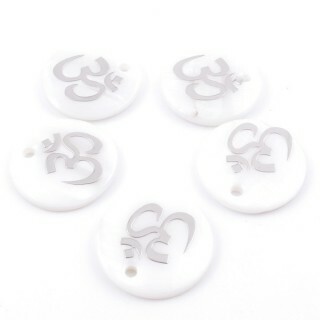 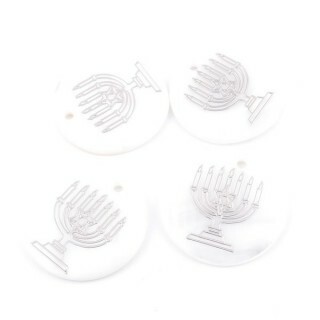 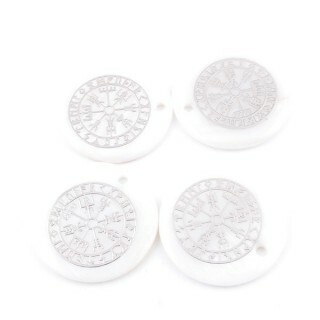 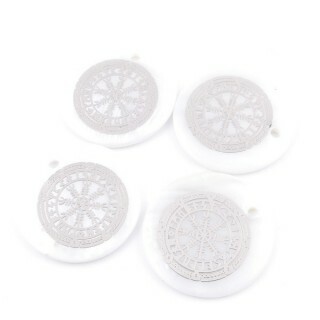 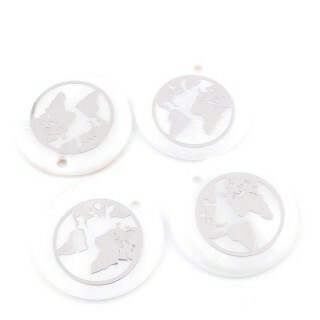 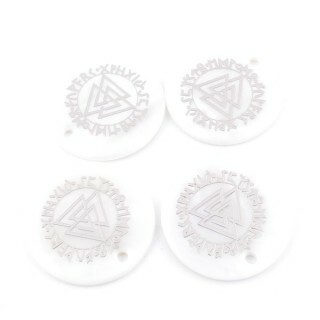 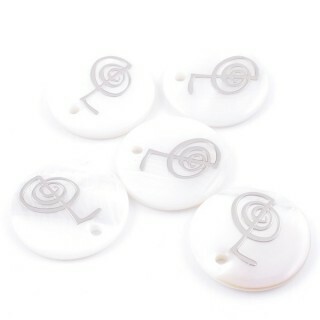 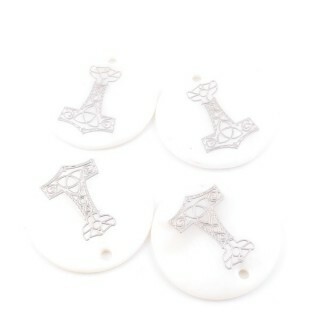 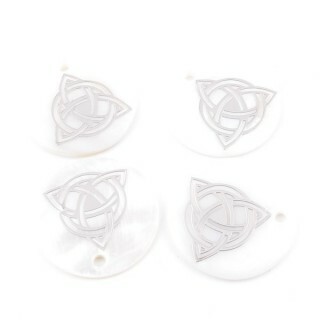 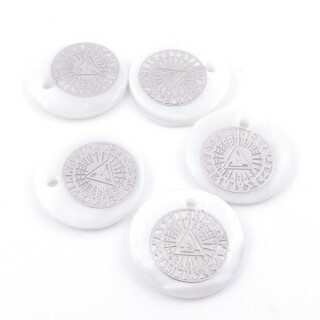 Pack of 4 shell 25 mm pendants with symbol. 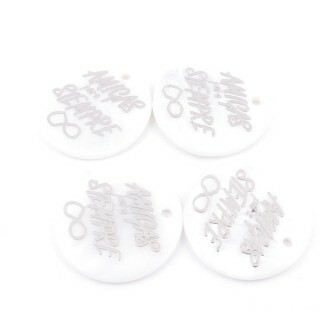 Price is per pack. 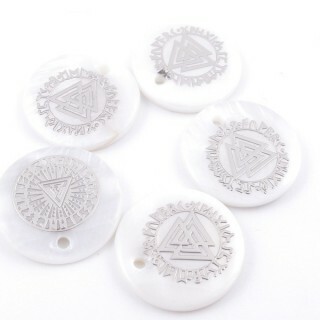 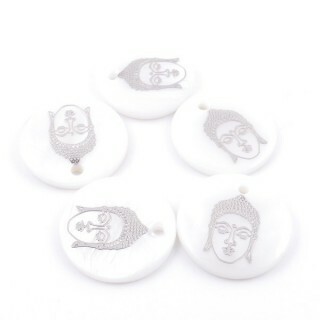 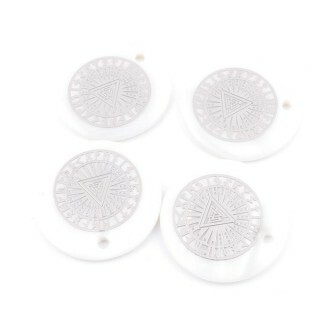 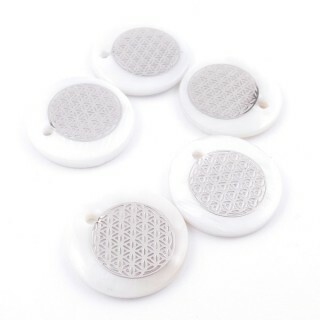 Pack of 4 mother of pearl 25 mm round shell pendants. 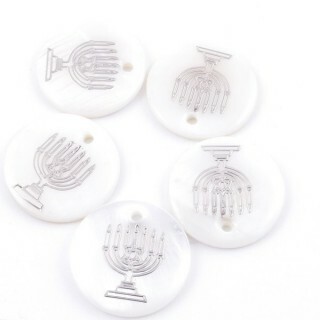 Each piece costs 25 cents.